This is a great recipe and the use of the Thermomix really helps with mess and washing up! 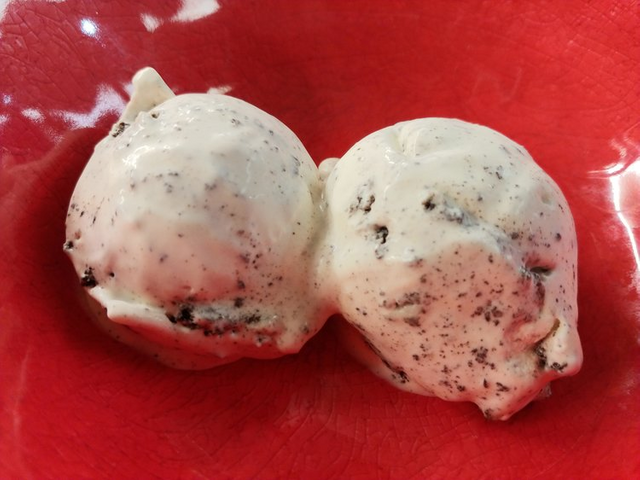 Obviously you can’t make an ice cream in a Thermomix but you can make the custard and crush the Oreo’s. You can serve this with something; a slice of cake or some fruit. 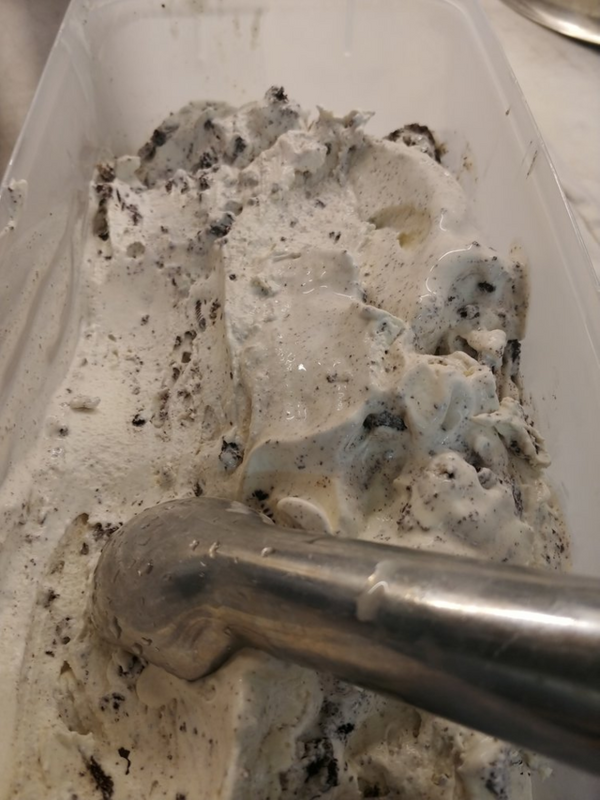 I tried an ice cream cake recently, I made an Oreo base like you would for a cheese cake then added this recipe on top. 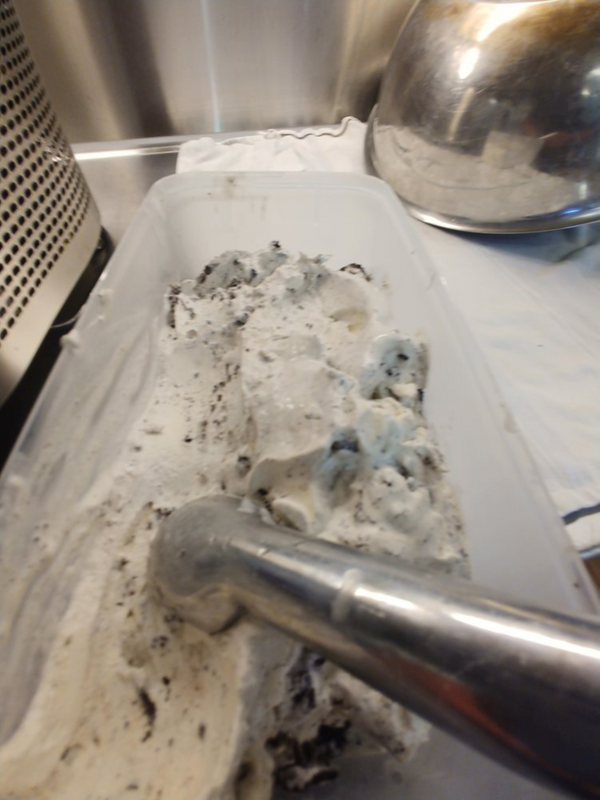 I crushed the Oreo finer for the ice cream cake. It went down very very well. 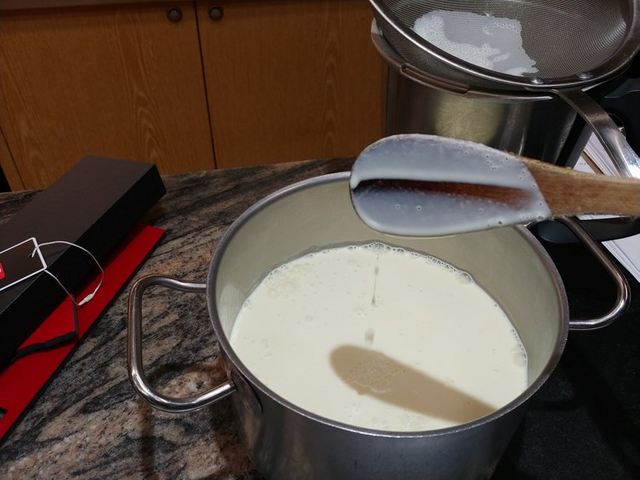 Add the cream, egg yolks and sugar into the thermomix along with the whole vanilla bean. You can split the vanilla but add everything. 12 minutes, 75 Celsius or 165 Fahrenheit, 2.5 Speed. Let it do it’s thing. After, it should be thick. 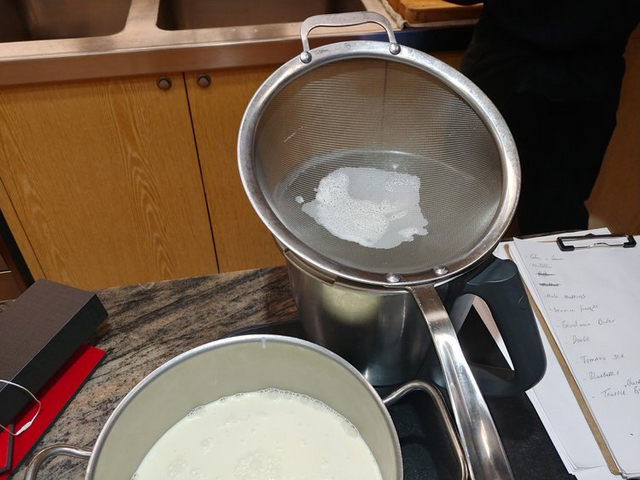 Pass the liquid through a sieve. You should be able to run your finger across a dipped wooden spoon and your mark should stay. If it does not, please add back to the thermomix for another 2 minutes. Clean out your thermomix. 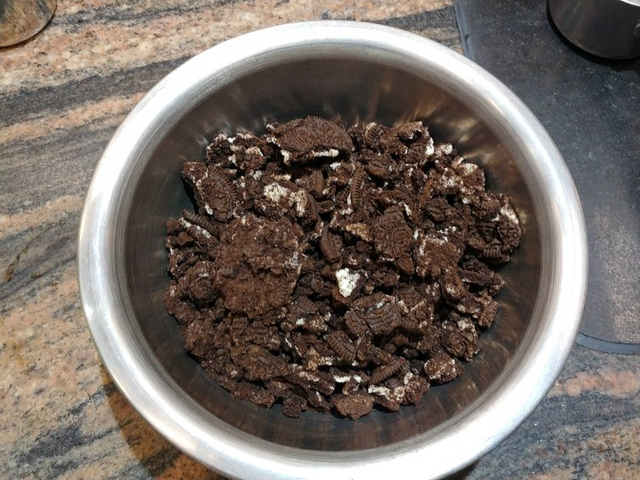 Add the Oreo’s and blitz speed 10 for 5 seconds. 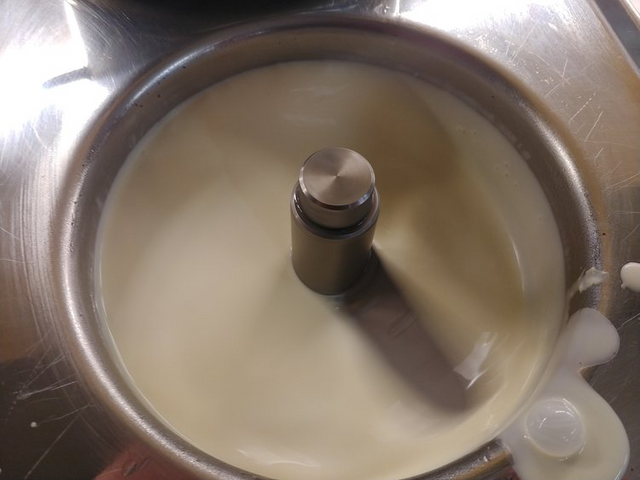 Chill the liquid for an hour, then add it to a ice cream machine. 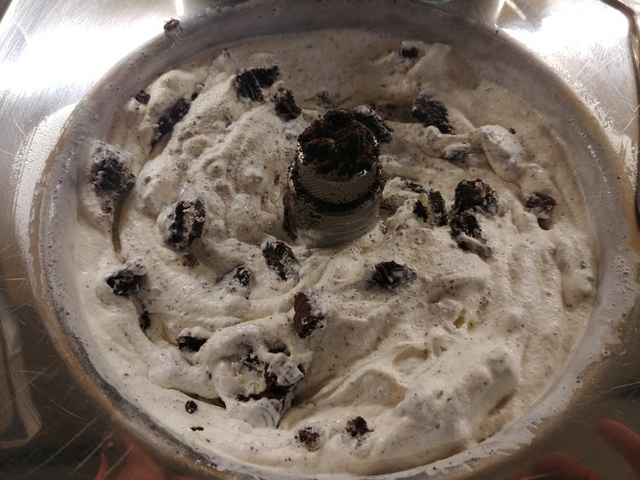 After about 25 minutes and the ice cream is looking thick but not too thick, add the cookies. 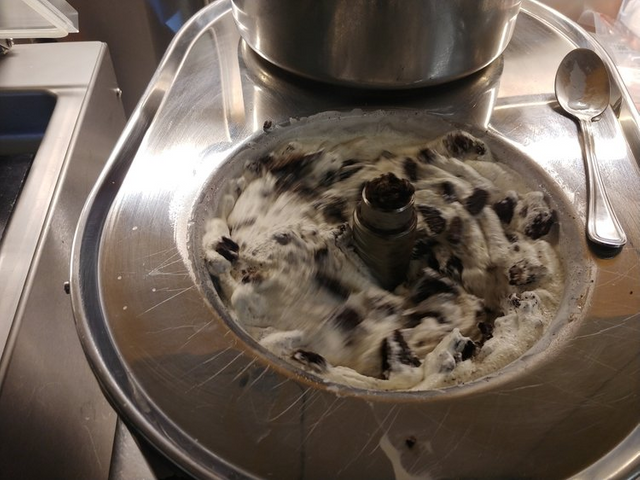 You only want the cookies going round in the ice cream machine for 1 minute so make sure the ice cream is nearly ready before adding. Take it out. Put it in a plastic container and freeze. Or eat immediately. 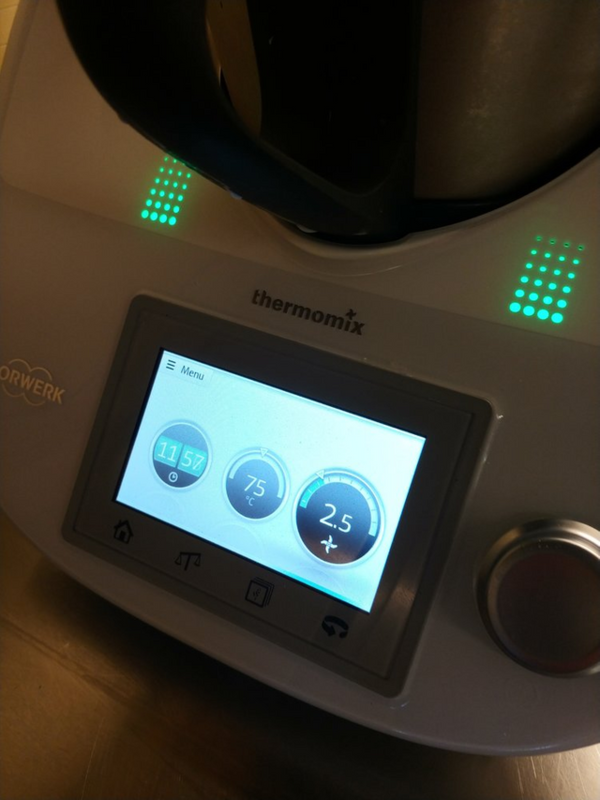 Thermomix looks really useful, but it seems like you had to clean it a lot of times for this recipe. How hard is it to clean? Thanks to @paradigmprospect, this post was resteemed and highlighted in today's edition of The Daily Sneak. It's not hard to clean. You can rinse it out, give it a wipe. Or thoroughly clean it but unscrewing the bottom bit and the blade pops out. It is a fantastic bit of kit. It is like having an assistant. 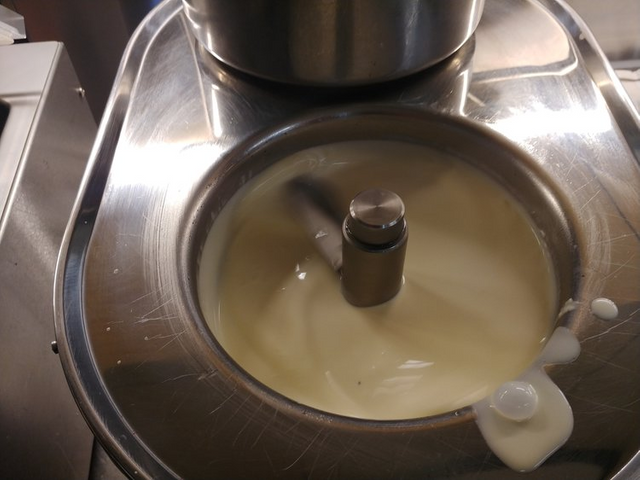 More thermomix recipes on my website. chef-at-sea.com . Let me know how you get on. Thanks! We have a really small kitchen right now, but maybe a bit further down the road. Wow, that looks amazing. 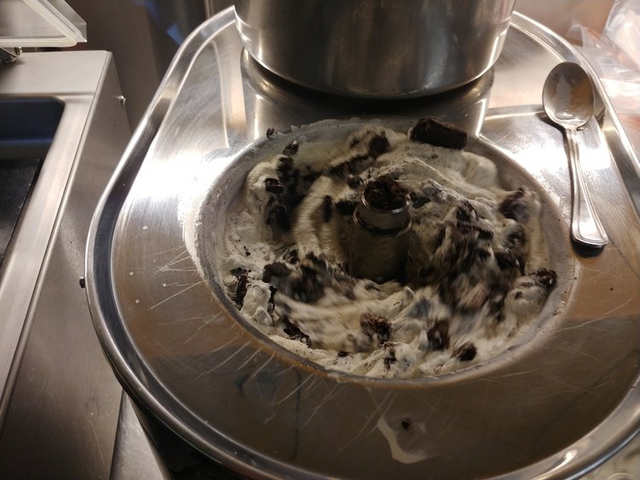 Have you tried faking the half baked kind?I just love when there are all kinds of complementary chunks and things in the ice cream that underscore its sweetness direction. Man, I want some ice cream now ahahaha.